Race is a visual phenomenon, the ability to see “difference.” At least that is what conventional wisdom has lead us to believe. Yet, The Sonic Color Line argues that American ideologies of white supremacy are just as dependent on what we hear—voices, musical taste, volume—as they are on skin color or hair texture. Reinforcing compelling new ideas about the relationship between race and sound with meticulous historical research, Jennifer Lynn Stoever helps us to better understand how sound and listening not only register the racial politics of our world, but actively produce them. Through analysis of the historical traces of sounds of African American performers, Stoever reveals a host of racialized aural representations operating at the level of the unseen—the sonic color line—and exposes the racialized listening practices she figures as “the listening ear.” Jennifer Stoever will discuss The Sonic Color Line on Saturday, January 27 at 6pm at 57th Street Books. The Souls of Black Folk, by W.E.B. Du Bois - One of the most intricate, powerful, and beautiful works of social theory ever written, Du Bois's 1903 book reminds us of America's brutality and unfulfilled debts, promises, and possibilities. This text inspired my naming and theorization of the sonic color line, and my research is toward what work still needs to be done for racial equality and social justice. In the Break, by Fred Moten - This book changed the game in academia--its brilliance, its ability to hear and vivify sound, and its style, conjured from the artistry and epistemology of the black avant garde. Among many other nuanced critical sonic moves Moten makes in In the Break, his ability to sensitively, listen to and amplify the photograph of Emmett Till in his casket deeply inspired my practice and method of critical historical listening. Native Son, by Richard Wright - This is the novel that started it all. Richard Wright's unparalleled ability to represent 1930s Chicago though the perspective of his main character Bigger Thomas opened up the experience of segregation via sound to the world. The first 20 pages of The Sonic Color Line was a reading of Wright's brilliantly crafted soundscapes of silent, white snow, and clanging South Side streets. Scenes of Subjection, by Saidiya Hartman - Saidiya Hartman's ability to read legal and literary documents against the grain for renderings of black agency during slavery is brilliant and relentless. Not only did her close reading method inspire my own, but her provocative thesis that emancipation was all but a "non event" in terms of true freedom and equality inspired a generation to look beyond the given veneer of the law into microaggressive everyday moments to seek and produce real change. The Street, by Ann Petry - Despite being a bestselling author, Ann Petry was often dismissed during her own moment as an author derivative of Richard Wright and his brand of social realism. While they both dealt with the struggle of black migrants to segregated urban centers in the mid-twentieth century, Petry brings home the intersectional struggles of black women, using sound in her work to reveal and challenge the silencing of black women fighting for their lives at the edge of race, class, and gender. Harlem Nocturne, by Farah Jasmine Griffin - Already inspired by Farah Jasmine Griffin's groundbreaking study of "migration narratives" in Who Set You Flowin'? 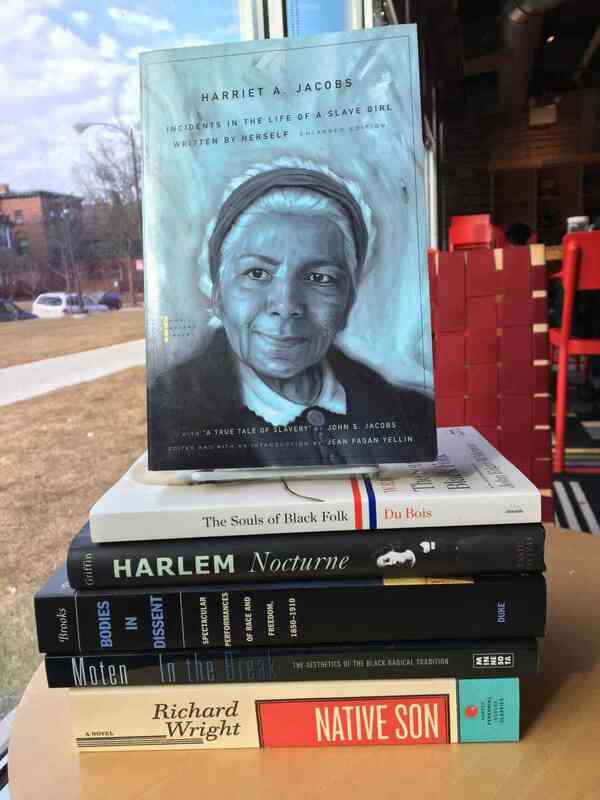 I turned to her painstakingly researched and beautifully written group biography of progressive black women artists in New York City in the 1940s to get a sense of Ann Petry's intellectual life and social milieu. In addition to a wonderful rendering of Petry, you can read about her friends and contemporaries musician Mary Lou Williams and dancer Pearl Primus. White, by Richard Dyer - Richard Dyer's White is a powerful theorization of how the notion of "white supremacy" took hold in Western culture through its visual representation--from renderings of Greek sculpture to film lighting. My study of the sonic color line both continues Dyer's work of breaking down the fallacy of "white supremacy" by revealing its workings, but also furthers this project into the realm of sound. Race isn't just a powerful visual fiction, but a sonic one too. The Sovereignty of Quiet, by Kevin Quashie - A powerful challenge to portrayals of black life as both "loud" and constantly politically oppositional, Kevin Quashie's study understands silence as both sign and condition of black intellect and interiority that has been too long misread. Quashie's work inspired me to listen differently, more sensitively, and more in tune with silence's great power and potential as a form of agency. Bodies in Dissent, by Daphne Brooks - Brooks's book is a tour de force, encouraging us to have more complex takes on the cultural work of black perforers during slavery, Reconstruction, and the turn of the century. Rather than exploring their very obvious racial constraint, Brooks amplifies quite powerfully the artistry, virtuosity, and resistance present in their work, particularly stage performance and dance. Incidents in the Life of a Slave Girl, by Harriet Jacobs - Jacobs's slave narrative is her stunning story of horror, struggle, and survival during enslavement, in particular her master's physical and sexual abuse. It is also fundamentally about listening as a strategy shaped by freedom and connection as much as slavery and subjection. About Jennifer Stoever: Jennifer Stoever received her Ph.D. in American Studies and Ethnicity from USC. She serves on the editorial boards of Sound Studies and Social Text. She has published in Social Text, Social Identities, Sound Effects, American Quarterly and Radical History Review, and Modernist Cultures among others. During 2011-2012, she was a fellow at The Society for the Humanities at Cornell University, participating in the research group on Sound: Culture, Theory, Politics. Currently an Associate Professor at SUNY Binghamton, Jennifer teaches courses on African American literature, sound studies, and race and gender representation in popular music. She also is the project coordinator for the Binghamton Historical Sound Walk Project, a multi-year archival, civically-engaged art project designed to challenge how Binghamton students and year-round residents hear their town, themselves, and each other. She is Co-Founder and Editor-in-Chief for Sounding Out! : The Sound Studies Blog.